When I told a few people that I was going to Bistro Blackwood for lunch some of them said, “that’s a long way to go” so as a community service announcement I firstly want everyone to know that Bistro Blackwood is perfectly centrally located, not in the Adelaide suburb of Blackwood but the heart of Rundle Street under much celebrated Restaurant Orana. If you haven’t heard of Orana then do yourself a favour and google “most awarded South Australian restaurant” or “Australian restaurant of the year” and that should sort it out. 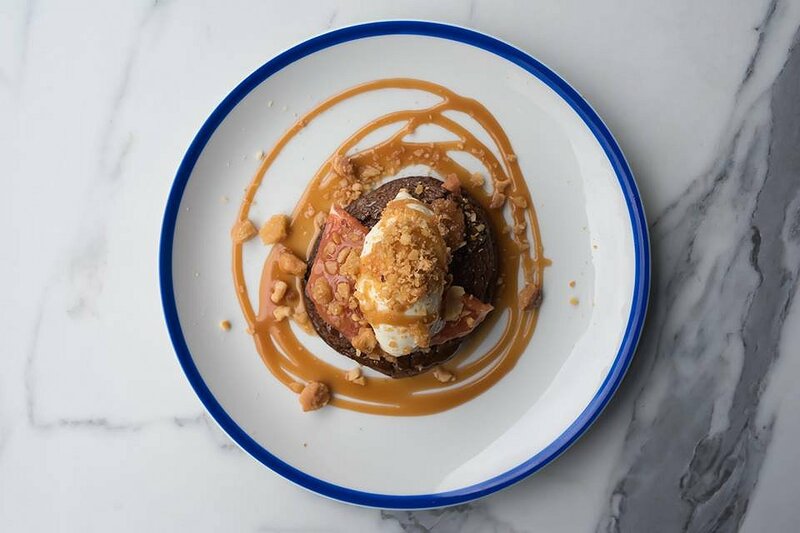 Bistro Blackwood shares the passion for Australian produce and the innovation of its sister restaurant in a more casual setting. Last week Adelaide Food Central was invited for a leisurely, long lunch where we were wowed by the sophisticated menu that celebrates native Australian produce. As a starter we order the Vitello Tonato and are informed that this is the favourite of Head Chef Jock Zonfrillo. 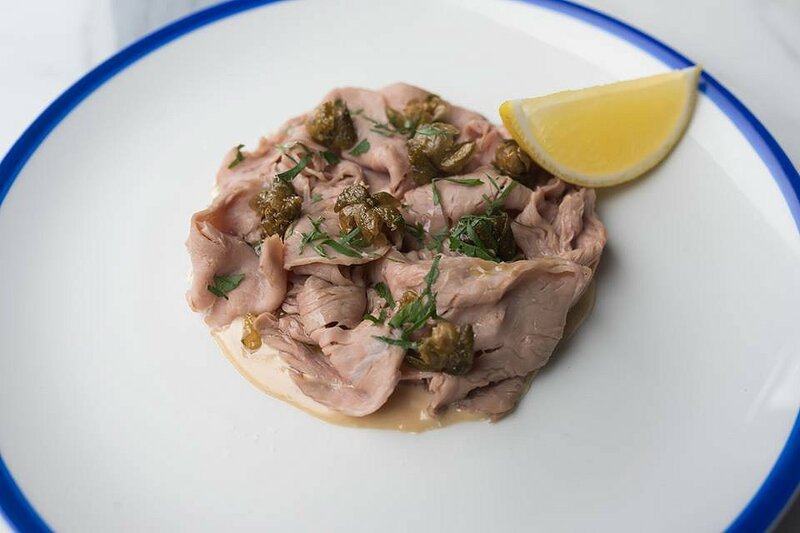 This classic Italian dish has the essential components of sliced veal, in this case %100 milk fed South Australian veal with creamy tuna infused mayonnaise and here, anchovies are added to add an extra dimension. A slice of lemon is presented to squeeze over the top to brighten the dish but it’s the fried capers that steal the show. Crispy, busting with flavour and saltiness they lift the creamy, delicate veal to the next level. My favourite dish of the day was the Shellfish Spaghetti with its sweet, creamy marron sauce, reminiscent of bisque. 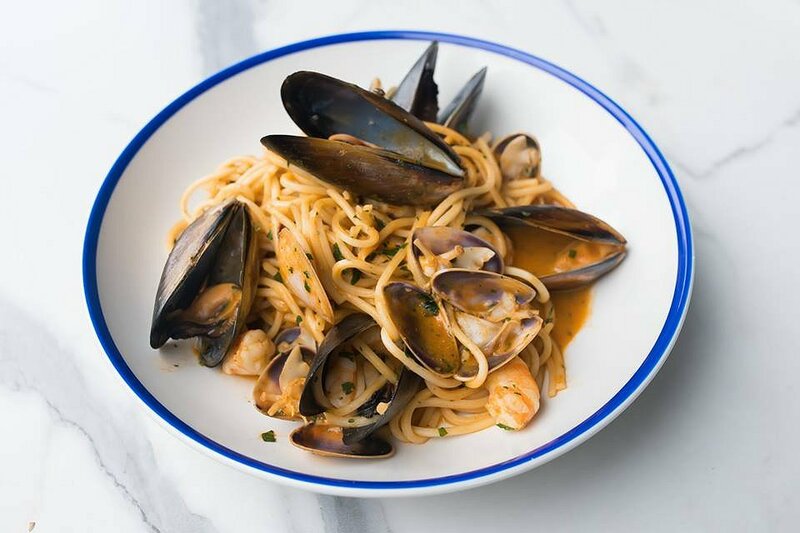 A generous medley of Boston Bay Mussels, Goolwa Pippis and Spencer Gulf Prawns weave between the long spaghetti strands, the quality and freshness of the seafood is obvious. The dish needs little more as it is perfect in its refinement; confetti of finely chopped herbs adds the perfect fresh finishing touch. As a person who usually shies away from fish mains I love it when I come across a satisfying, thoroughly delicious one. The South Australian Mulloway is a stand out. The thick fillet is cooked directly on the fire and then finished in the oven. It is covered in a malt and ginger glaze that has caramel notes with the beautiful warmth of ginger. 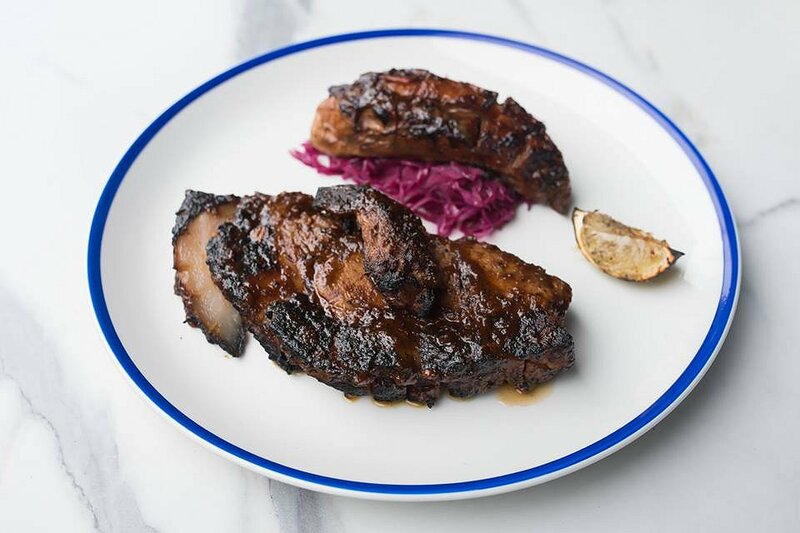 It is served with chunks of charred cabbage that is smoky and crunchy. Finished with costal greens and more of those magnificent fried capers the sweet glaze and salty garnish complement the meaty fish. 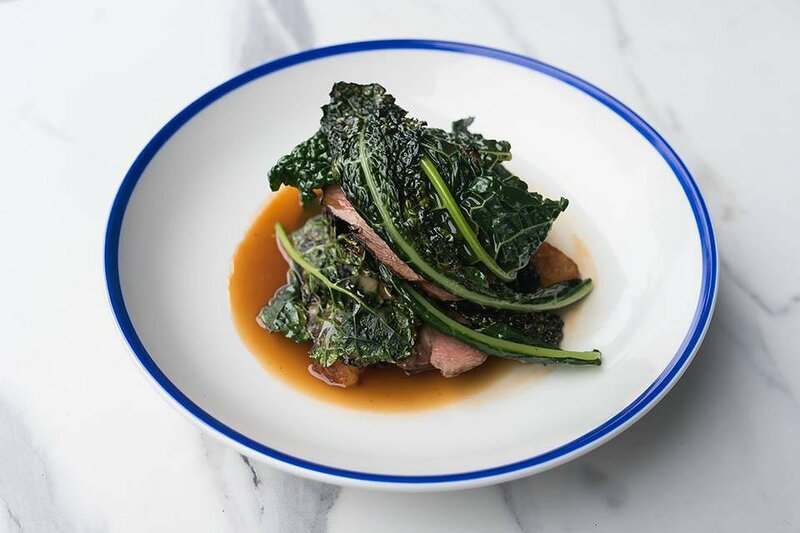 The Ngerina Organic Lamb has a strong focus on local with the lamb and cavolo nero both sourced from organic, biodynamic farms in the Adelaide Hills. The sliced lamb is a delightful pink as tender as expected. The leathery cavolo nero leaves plays nicely with the char flavours and a secondary lamb layer reinforces flavour with the fondant potatoes cooked in lamb butter. Again the layering of flavours is demonstrated by finishing the dish with a chipotle sauce supporting the smoky char in the lamb and greens. Australian Jerk Pork Cutlet is a thick pork cutlet cut straight from the rack. It’s rubbed with a zingy Australian Jerk mix of lemon, cinnamon and aniseed myrtle and Tasmanian mountain pepper that slowly releases a divine heat. Cooked directly on the fire the result is a juicy, mouthwatering cutlet with mingling flavours of sour, sweet and salty and pleasing smokiness. For a sweet finish we selected the Chocolate Brownie Stack. A cross between a brownie and a pancake, there are 2 pancake shaped brownies that despite their shape are chewy with a fudge centre. Dressed with a salted caramel sauce and crème fraiche we again see the combination of sweet and salty, a recurring theme in today’s menu. The brownies are punctuated by slices of ruby red grapefruit and macadamia praline which added a luscious crunch. We then moved onto the Lamington Ice Cream, an excellent dessert that is so much more than it sounds or looks. It’s all the elements of a Lamington in ice cream form, including a vanilla bean icecream, coconut sorbet atop a native current and berry compote. Broken up pieces of sponge add texture and are a delicious surprise when spooning through the ice cream. Finished with shavings of dark, milk and white chocolate this is one of those desserts that gets more delicious with each spoonful. 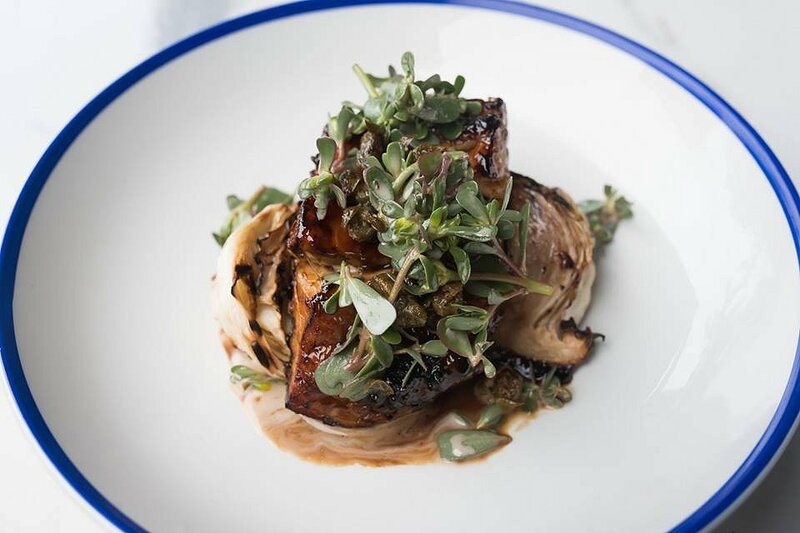 We loved Bistro Blackwood’s use of char, smoke and native ingredients that come together to create a pleasing menu that intrigues, challenges and inspires. 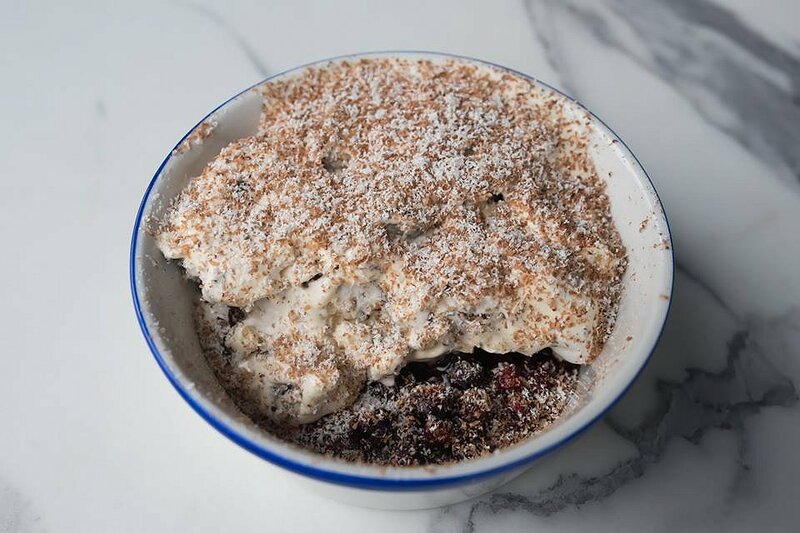 Creativity and ingenuity are at the forefront of the philosophies at Bistro Blackwood and the result is a triumphant, contemporary menu accessible to all.